BFA 2016 graduate Haylee Walker recently started a new job using the printmaking skills and experience she learned at UA. Walker received the bachelor of fine arts degree from UA with a primary concentration in printmaking and a secondary concentration in digital media. This fall JNJ Apparel in Northport, an automatic screen-printing shop, hired Walker as an assistant press operator. Walker said she is excited and ready to take a break from school to “experience the ‘real’ world.” The past several years have held difficult as well as rewarding challenges for the artist. Haylee’s path to UA was not her choice. She had been attending the Savannah College of Art and Design when her father passed away in 2012. 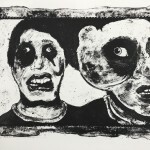 After his death, tuition costs there were out of her family’s reach, said Associate Professor Sarah Marshall, who taught Walker’s printmaking courses. Then, an unlikely patron, the late Coach Paul W. Bryant, came to Walker’s rescue. Her father, Hardy Walker, had played for Coach Bryant in the 1980s and Bryant had endowed a scholarship for UA students, with priority given to the children of any of his players. According to Walker, the Paul W. Bryant Scholarship gives children of a player who is still alive a tuition scholarship, but the children of a player who has passed away receive a full scholarship, so Walker’s education was covered. 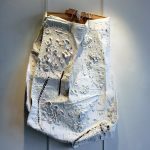 Marshall encourages students to submit their artwork to juried exhibitions. 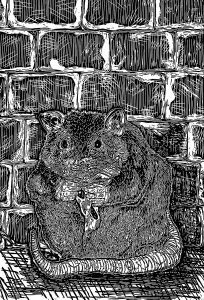 Walker did, and her print, #PizzaRat, was accepted to the 2016 Delta National Small Prints Exhibition at Arkansas State University, juried by the associate curator of prints and drawings at Minneapolis Institute of Art. 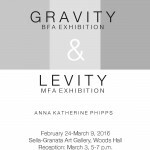 As a BFA student, Walker also held a final exhibition, Gravity, with two of her BFA cohorts, Ausharea Adams and Tanika Powers, at the Harrison Galleries in Tuscaloosa. All three women graduated in 2016 and are making their ways in the world now. From The Loupe, the newsletter of the UA Department of Art and Art History, Fall 2016. Read more stories here and check out past issues here.